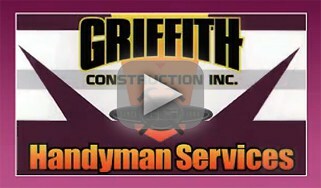 Griffith Construction, Inc. your local handyman service company specializes in tile repair and re-grouting. If yout tiles are in good shape we can replace the grout with new grout making them look as good a new. 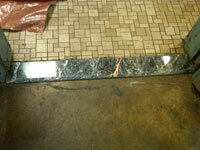 If your tiles are cracked or broken we can repair or replace them. If your tiles are dirty we can clean them. Don’t replace your tiles, restore them. 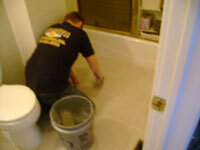 We also have the expertise for any tile installation, replacement or repairs. If your grout has become discolored over time, we can remove and replace it with the color of your choice. This can restore your bath or kitchen to its former pristine glory and can even create a fresh new look for these areas of your home. Griffith Construction can provide you with the most effective solutions for repairing and restoring your grout to ensure the most attractive results in your bathroom or kitchen areas. Replacing older tiles or creating a brand-new installation can create a beautiful new look for your home. The expert technicians at Griffith Construction can design and create a tile installation that suits your needs and your budget perfectly. From basic backsplashes to tiled walls and floors, we can provide you with solutions that suit your budget and your décor perfectly. If some of the tiles in your bathroom or kitchen are broken, damaged or discolored, Griffith Construction can perform expert color matching and replacement to restore your current tiles to their former beautiful condition. By working with us, you can enjoy the benefits of our years of experience in installing and repairing tile in the northern New Jersey area. Along with our grout replacement and recoloring services, we offer cleaning services to ensure that your tiles are clean and that they look their best. We can provide full-service cleaning for your kitchen and bath to eliminate any mildew or mold deposits and to leave your surfaces sparkling clean and ready for company. At Griffith Construction, we can provide you with comprehensive tile services to transform your home into a showplace. To learn more, call us at 973-831-6102 or 201-493-9999. We look forward to the chance to serve your home remodeling and cleaning needs.